Next, we’re going to install the dependencies our code needs. There is a Node.js application using Express, body-parser and Ably and an Angular App generated with the Angular CLI. To receive an SMS from Nexmo, you need to define a Webhook endpoint (URL) and then associate it with your virtual number from Nexmo. Whenever your number receives an SMS, Nexmo is going to send it to the Webhook endpoint. So we’re going to proceed in creating that endpoint with Express. The handleParams method isn’t yet defined, so we’ll go ahead and implement that. We’re going to add some validations to see if we’ve received a valid SMS message, and if that’s the case, we’re going to map incoming data before sending it. We need to return a 200 OK status code in the end, for the Nexmo dashboard to be able to recognise it as a valid Webhook URL. 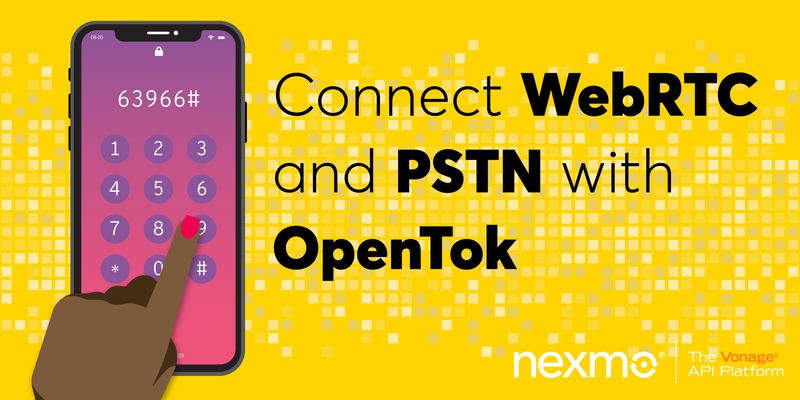 Now that you’ve written your Webhook endpoint, it’s time to associate it with your Nexmo number. While developing, it’s a pain to keep having to redeploy your work in progress though. So let’s use ngrok to expose the Webhook endpoint we just wrote on our local machine as a public URL! 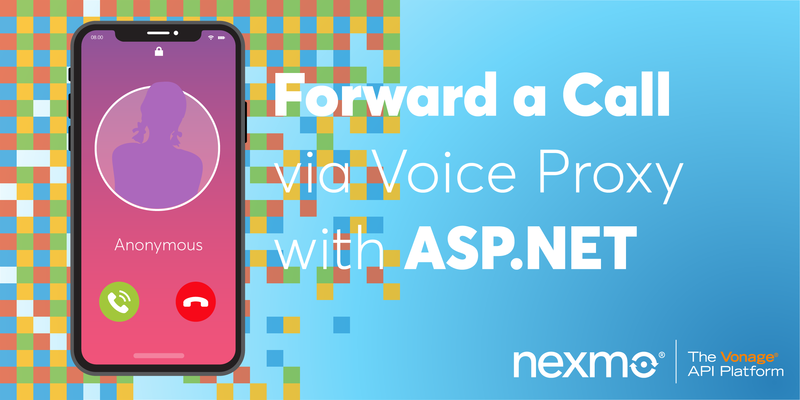 For more detailed instructions see Aaron’s post explaining how to connect your local development server to the Nexmo API using an ngrok tunnel. Your Express server (localhost:3000) now has a ngrok URL (https://3be084f6.ngrok.io), that can be used as a public Webhook endpoint during this tutorial. Sign into your Nexmo account and go to your Numbers. From the Manage section of your number, go ahead and click Edit. In the modal that appears we’ll set the Webhook we just created. In the SMS section, input the ngrok URL with the inbound route (https://3be084f6.ngrok.io/inbound) in the “Webhook URL” field. Now all your incoming messages will go to the Webhook URL. Let’s move on and send them via Ably to a modern web browser near you! 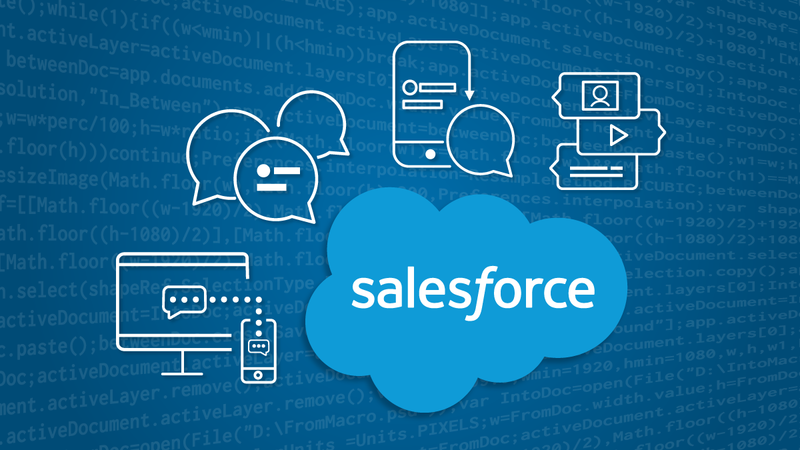 Note: this method sets up the SMS Webhook at a Number level. But you can set up this at an Account level as well, so you can read SMSes from all the numbers in your account. When you create a Ably account, you’ll get an API key. If you already have an account, login to Ably and get the API Key first. We’ll need to pass it to the Express server and the Angular application later on. 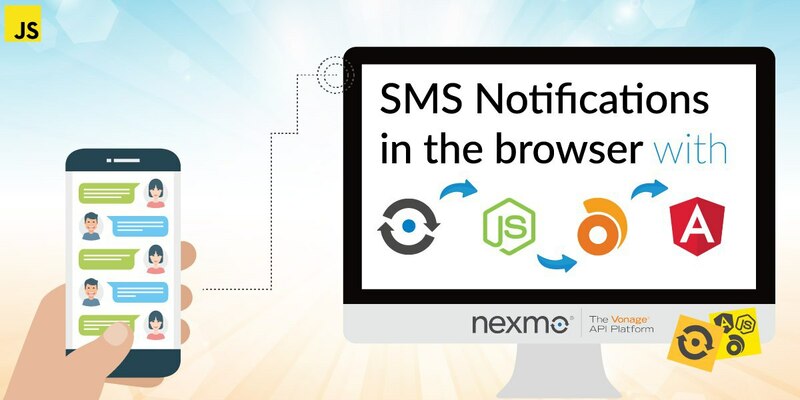 Now we’re going to update our Express server so that when it receives an SMS from the Nexmo API, it sends it via Ably to a channel. And then we’ll modify the handleParams method to publish on that Ably channel when there is an inbound SMS. The CLI created four files for us; the component TypeScript file, the HTML template, the CSS style, and the testing spec. 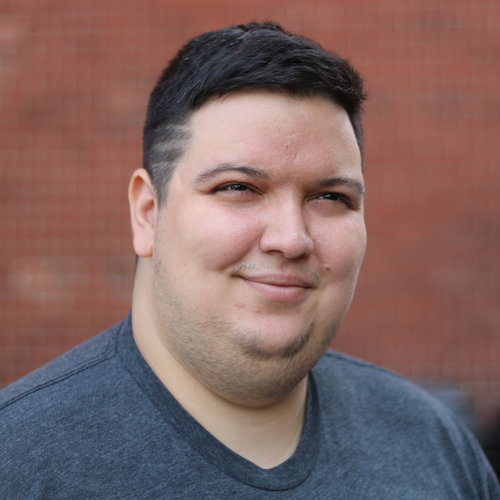 ngOnInit is a lifecycle hook function in Angular, and it runs when a component is being initiated. We’re going to update ngOnInit to receive the Ably notification. We’re going to instantiate Ably and then get to the sms-notification channel, subscribing for new-sms events. When a new SMS is coming, we’re going to push that to our component model, smsNotifications. Now that we have the smsNotifications on the component model, we’re going to replace everything in the template file (src/app/sms-notifications/sms-notifications.component.html) to display the incoming SMS notification. We want to create a list of SMS notifications, so we’re going to have to use the Angular *ngFor directive to run over the smsNotifications. The design is minimalistic; we’re going to use a material card panel to display the incoming number, the SMS notification and the timestamp. So we managed to send an SMS notification to a Nexmo number, that our Express server then received via a Webhook, which in turn sent the message via Ably to our Angular application, and we get the notification in the browser. You can take a look at the code sample on GitHub if you want to see the finished product. I hope you found this useful. You can let me know on twitter, I’m @lakatos88.